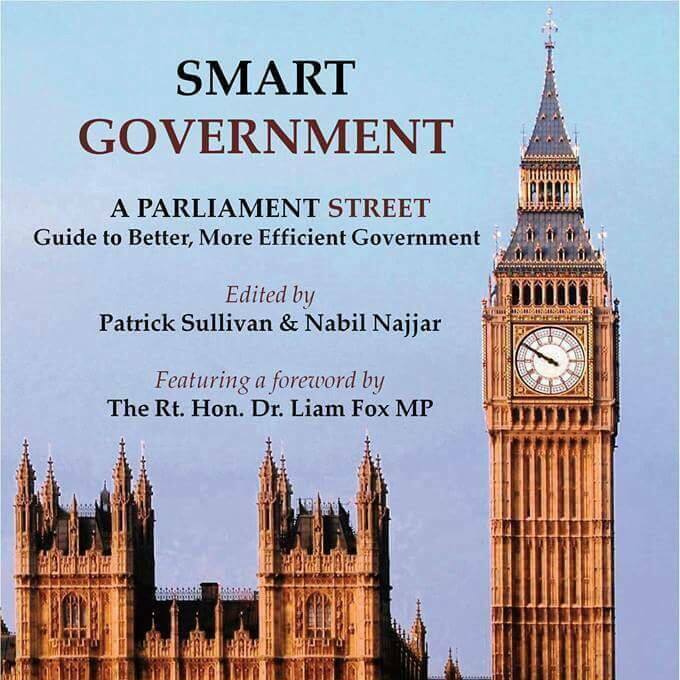 Smart Government, edited by Patrick Sullivan and Nabil Najjar, and featuring a foreword by the Rt Hon Dr Liam Fox MP, is Parliament Street’s first book, launched to positive reviews in March 2015. Ahead of the 2015 General Election, perhaps the most important in a generation, Parliament Street has brought together a group of leading Conservative Party activists, business and charity leaders and political figures to put forward a manifesto for “Smart Government”. Featuring a foreword by Rt Hon Liam Fox MP, this guide proposes policy recommendations on a variety of key topical issues, such as the economic recovery, the European Union, housing, education, energy, and constitutional reform. We hope this publication will build on the vital work done by David Cameron’s Government, and help secure and enhance the future of the United Kingdom. Download Smart Government: A Parliament Street Guide to Better Government to learn more about these proposals.